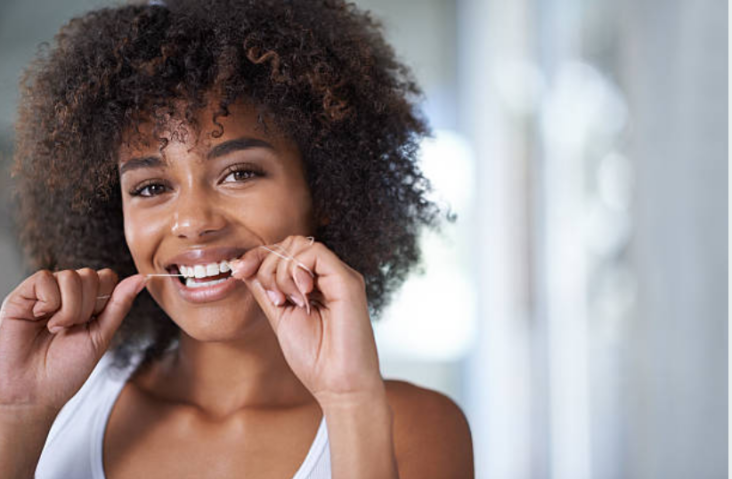 Recently, the routine practice of flossing has come under fire as being a nonsensical and ineffective way to clean the space between our teeth down to the gum line. Of course, the study got a ton of press, and news outlets everywhere were running ad hoc with the story as if it were revolutionary and based entirely in fact. As the story evolved through the news outlets it grew bigger, as stories tend to do, claiming that even the federal government’s health agencies also believed flossing to be a waste of everyone’s time. But that’s not true. The federal governments health agencies, as well as the ADA (American Dental Association) all claim flossing as an important, everyday practice. Flossing is important because it helps to remove the plaque that builds up in the spaces between our teeth. Floss, or an interdental cleaner, scrapes away the plaque that builds up there. If plaque is allowed free reign to grow rampant, then you are likely to see problems such as gum disease develop, and, if the initial stages of gum disease are not dealt with appropriately (and remember, oftentimes gum disease has very little symptom in its early stages) it will progress to the more chronic stages—periodontal disease. It’s important to keep the practice of flossing between our teeth routine, done once daily. To floss, simply purchase a spool—it comes in a few different sizes—strand widths—and many different flavors, and pull from the spool about eight to ten inches of floss. Wrap the tag ends of the floss around opposing fingers, keeping a few inches of open space between your hands so that you may maneuver it down into the spaces between the teeth. Then use the floss to scrub the faces of the teeth with the floss, cleaning all the areas between the teeth down to the gum line. It’s a pretty standard, simple practice, although it’s often overlooked by many in their daily oral routine. Remember to keep flossing once every day, keep brushing twice daily, that initial prevention is the best treatment for gum disease. Make an appointment with Dr. Manhart today for all of your oral health needs.